According to a popular statistic provided by the World Economic Forum, 65% of today’s primary school children will be working in jobs that do not exist yet. Advanced technology, while presenting the challenge of preparing children for an unknown future, also presents opportunities for their development that have never existed before, such as robotics (pictured above) and virtual reality. The Disrupt Stage at the SA Innovation Summit, taking place in Cape Town in September, will explore some of these opportunities. How is your spelling? Or rather, how is your spelling when you are lying on your back remote-navigating a virtual paper aeroplane? This integration of the motor senses with learning is one example of technology challenging traditionally accepted teaching methods. Another is a virtual chemistry lab table, where children interact with elements and create chemical reactions by placing physical cards on a glass projection screen and watching to find out what happens next. That is one way to teach chemistry, without the potential of burnt fingers and at a much lower cost than a full-scale chemistry lab. Both of these ‘edu-tech’ teaching tools already exist; innovations designed by Formula-D Interactive to supplement and enhance children’s learning experiences while preparing them for a tech future. For many, this future will require hard skills like coding and programming. However, with technology developing at its current speed, they will all need to be able to figure out how technology works without a manual, says Patricia Gouws, Senior Lecturer in the College of Science Engineering and Technology (CSET) at the University of South Africa. 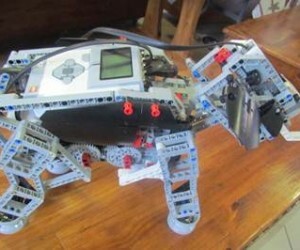 For this reason, CSET are teaching children robotics by giving them the opportunity to build and code robots themselves. This not only teaches them about teamwork, it also teaches them engineering and programming principles. More importantly, they are trained to figure things out for themselves - learning through doing. “We are preparing children to think and learn, and we are teaching them that programming is not difficult or scary,” says Gouws. To find out more about and interact with the innovations impacting on education and training, delegates at the SA Innovation Summit 2018 with have access to the Disrupt Stage. The interactive Disrupt Stage will consist of a showcase, master classes and a deep dive that will provide delegates with a blueprint for disruption for their concept, product or new venture. 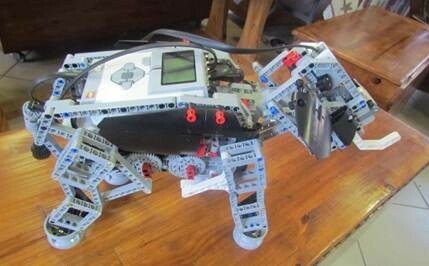 The Summit, taking place at the Cape Town Stadium from 12 to 14 September 2018, will feature UNISA’s robotics classes, as well as Formula-D Innovation’s Life’s A Breeze innovation. Sea Monster’s animation, games, and augmented and virtual reality disruptions will also be part of the experience. For more information, keep an eye on www.innovationsummit.co.za or follow SA Innovation Summit on Twitter (@InnovSummit) or Facebook (@SAInnovation).